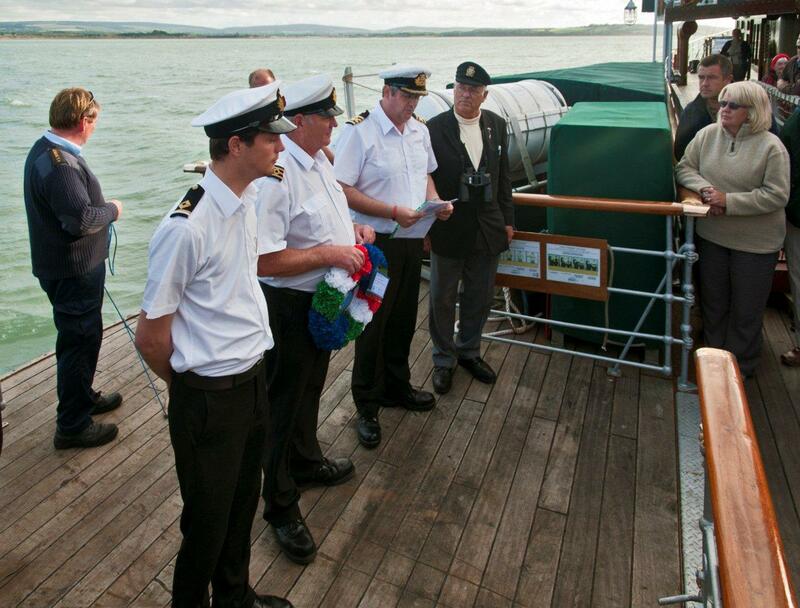 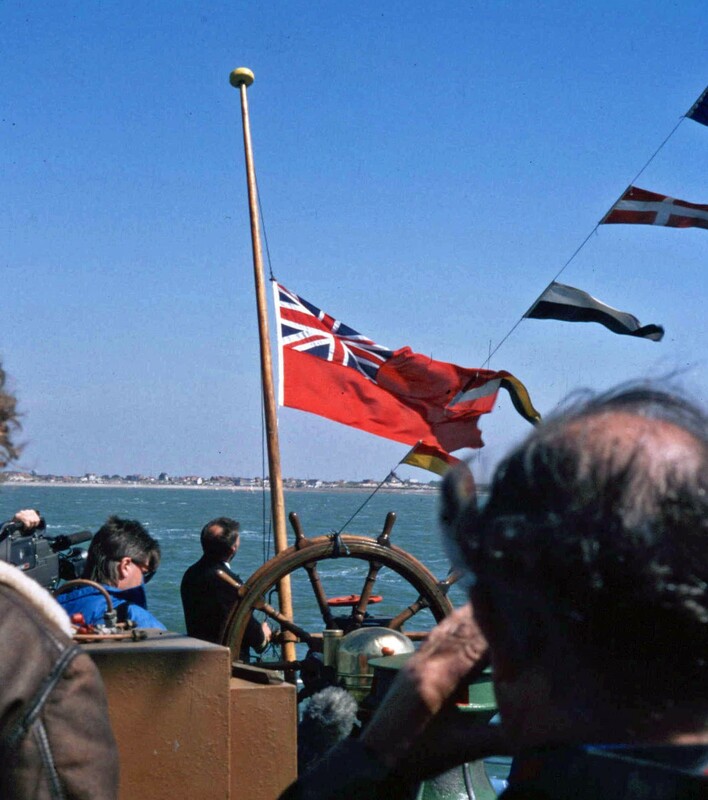 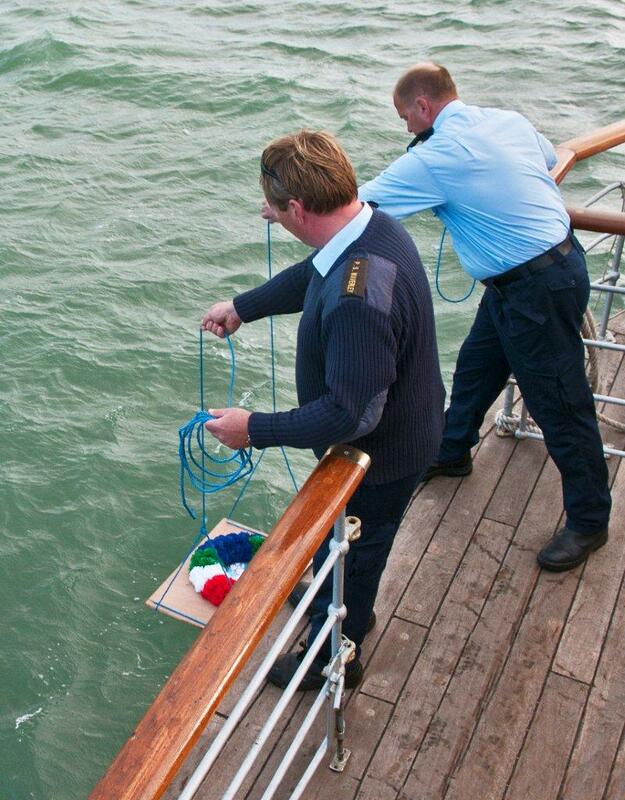 On Wednesday 8th September in the Western Solent paddle steamer Waverley stopped to commemorate the part played by her predecessor HMS Waverley during Operation Dynamo, the evacuation of Allied Forces from the beaches of Dunkirk 70 years ago. 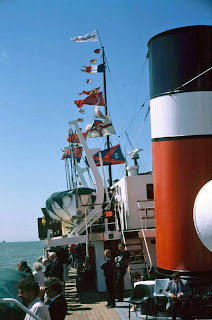 The present Waverley was built in 1947 to replace HMS Waverley which was lost at Dunkirk. 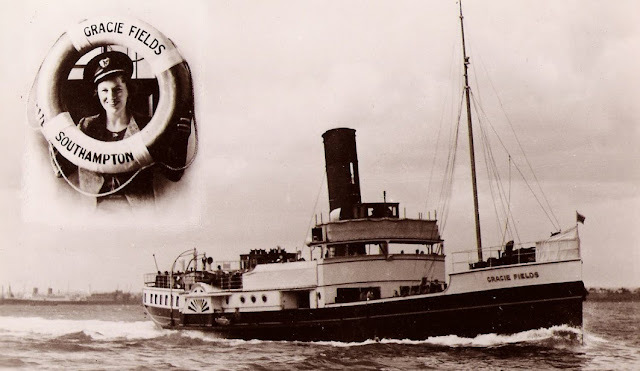 One of our local Isle of Wight steamers PS Gracie Fields was also lost. The 1899 built Waverley was bombed and sunk as she headed back to England from the beaches of Dunkirk. Her master at the time of her loss was Capt John Cameron. Although a non-swimmer Capt Cameron survived the sinking and became the first master of the present Waverley when she entered service on the Clyde in June 1947. 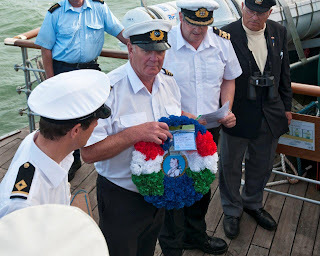 Capt Cameron returned to the waters off Dunkirk on the present Waverley for the 40th anniversary and cast a wreath onto the sea.